The English midfielder was handed a rare start on Thursday and made sure to not waste the opportunity by inspiring Chelsea to a 3-1 win over BATE at Stamford Bridge. 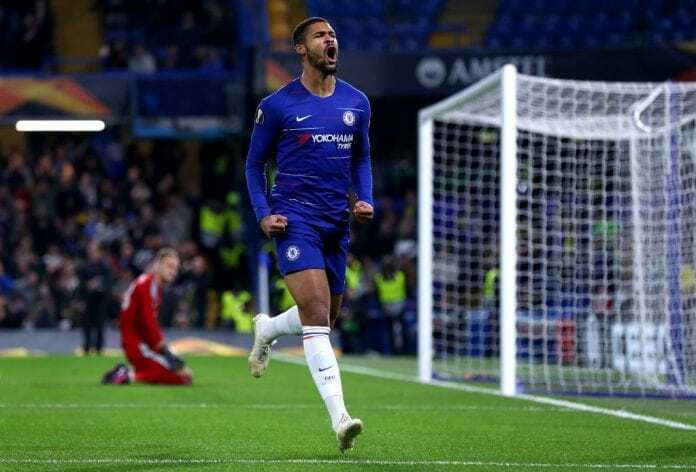 Loftus-Cheek was one of eight changes Sarri made to the starting line-up from the Blues squad that drew 2-2 with Manchester United last Saturday. And following Loftus-Cheek’s exploits in the Europa League, Sarri is left with a difficult decision on who he starts in midfield for Chelsea’s Premier League clash at Burnley on Sunday. 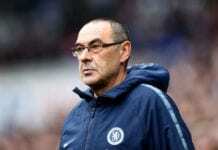 “He played very well,” Sarri told reporters on the club website. “I think at the beginning of the season, I thought he was really a very good player. Now I think the same, but maybe he has also adapted to my football. “He is improving. He needs to improve defensively, but not only Loftus. At this moment we have four midfielders for two positions. “Three of them with the same characteristics. Only [N’Golo] Kante is a defensive midfielder. It’s very difficult for me to put in the starting XI two so offensive midfielders at the same time. Chelsea top Group L of the Europa League with a comfortable six-point lead over second place side PAOK after just three games.